In Uttar Dinajpur District there are 2 Sub-Divisions Raiganj & Islampur , 110Km apart from each other. 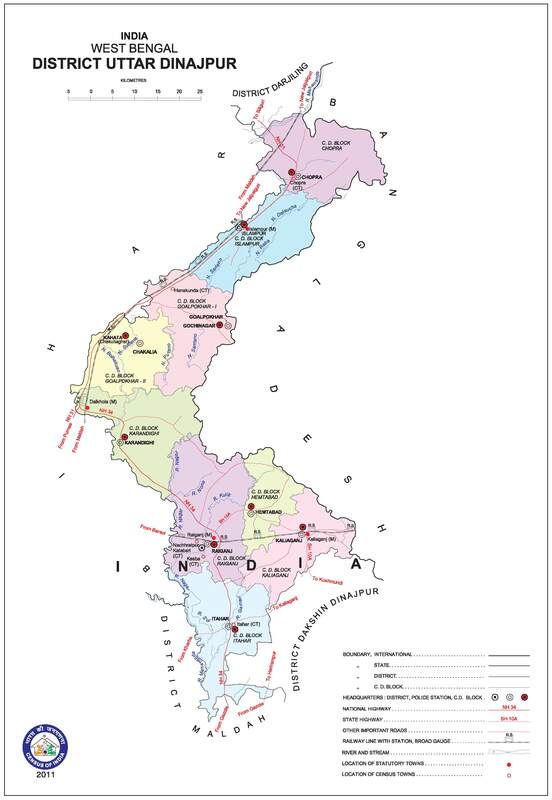 District having International Border length of 206 km (approx) in the east with Bangladesh and in the west 227 Km. border with Bihar. 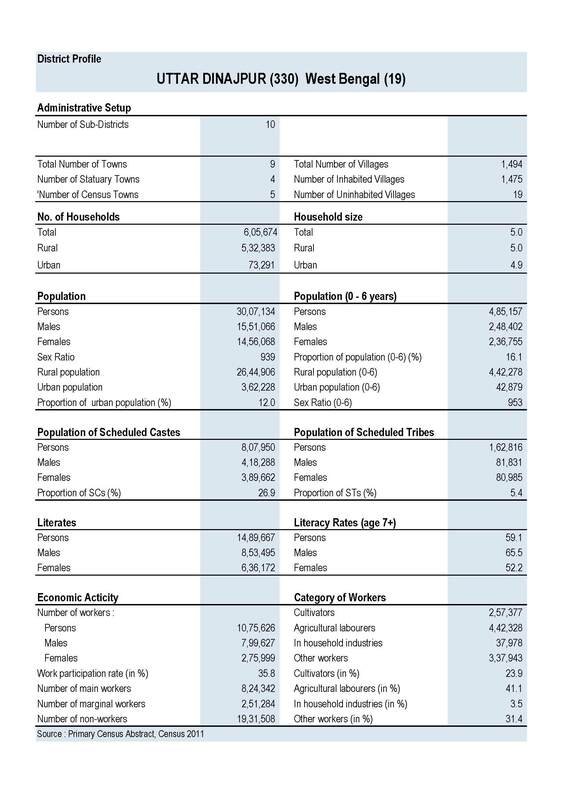 There are 4 Municipalities,9 Blocks and 98 Panchayats covering 1494 villages.The total population is nearly 30 Lakh comprising mainly of rural masses. Bengali is the main language but a sizeable portion of Urdu and Hindi speaking people live in Islampur Sub-Division. The Climate of this district is characterised by Hot-Summer with High Humidity, abundant Rainfall and Cold Winter.The Summer begins from April. Monsoon starts from June and lasts till September. December and January are the coldest months.